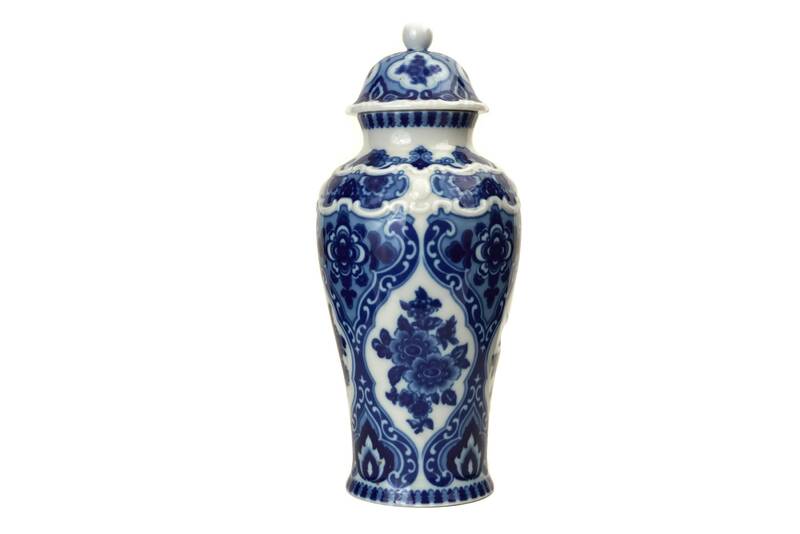 An elegant vintage blue and white porcelain vase with lid. 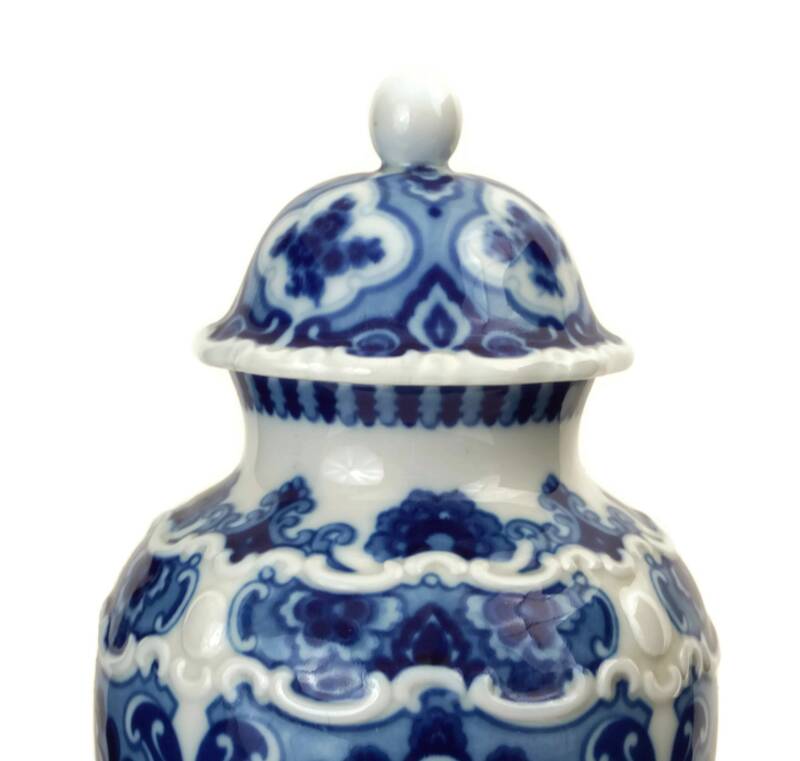 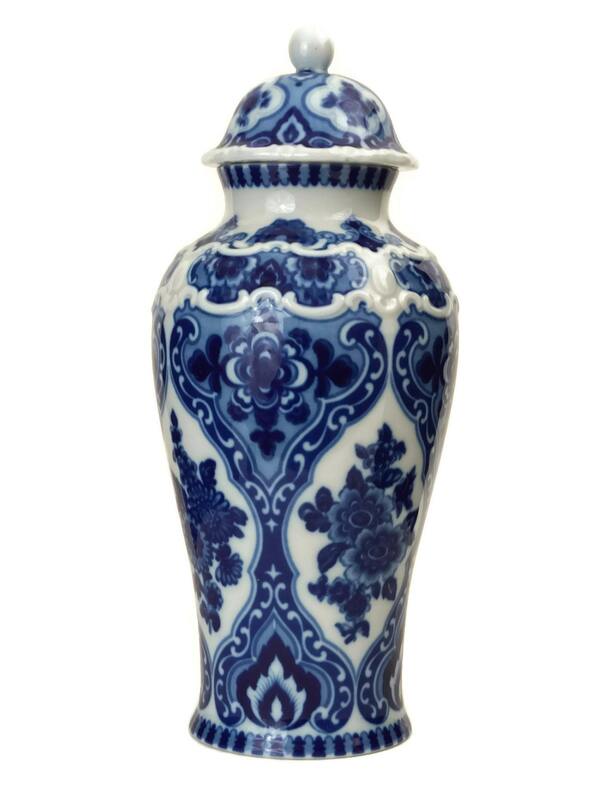 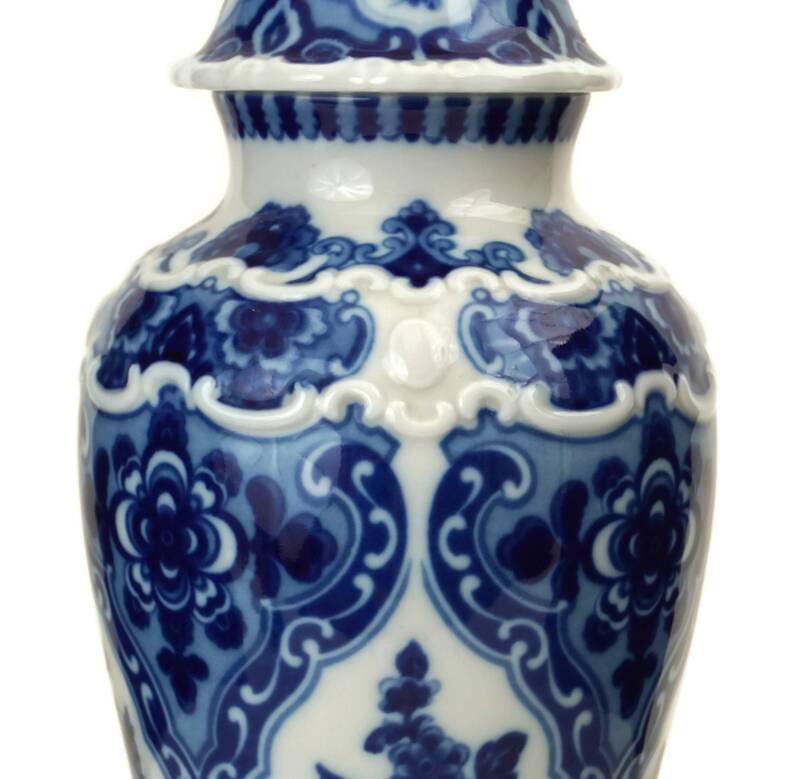 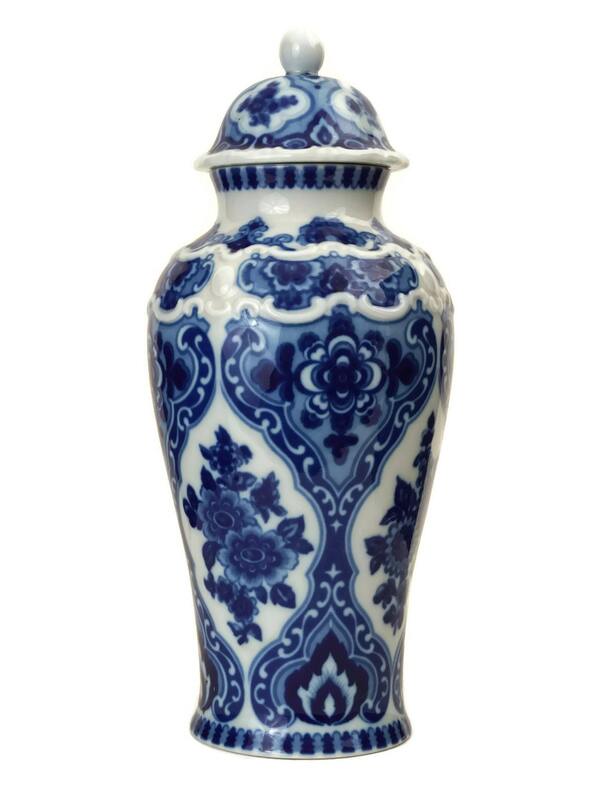 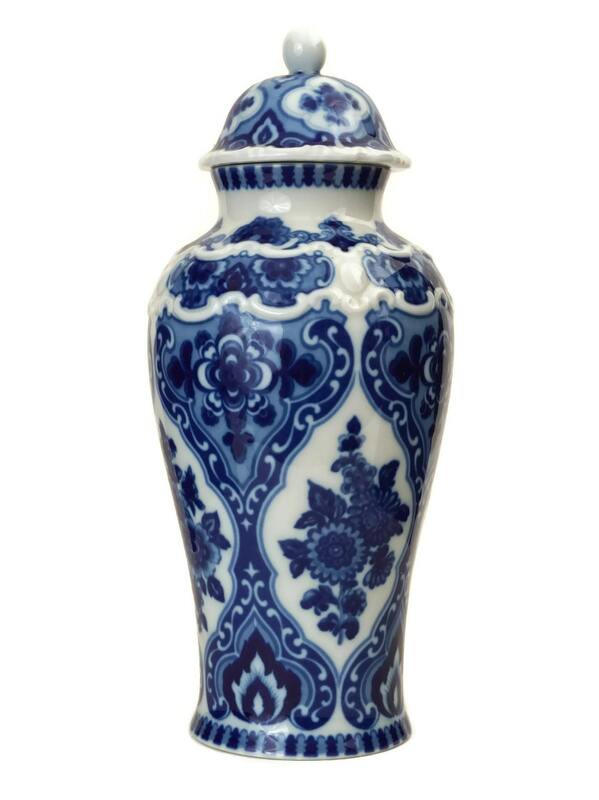 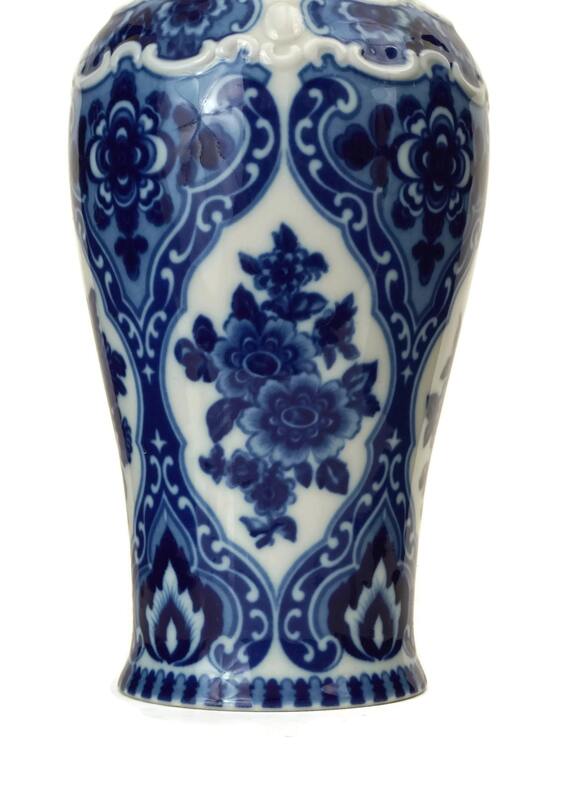 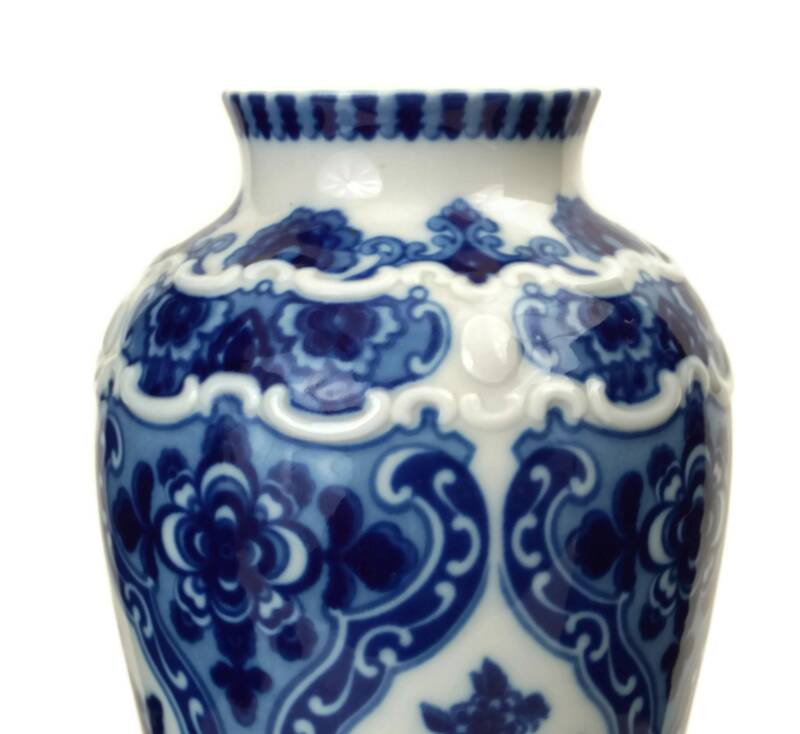 Manufactured by the famous German ceramic company Wallendorf, it features a classic baluster jar shape and has been decorated with a charming blue floral pattern. 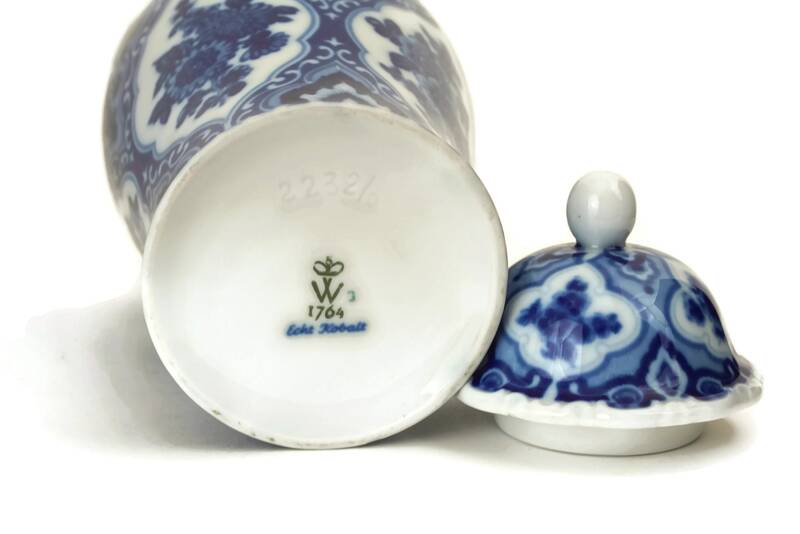 The underside of the glazed ceramic vase has been stamped with the manufacturer's marks Wallendorf 1764 Echt Kobalt and pattern reference number 2232/o. 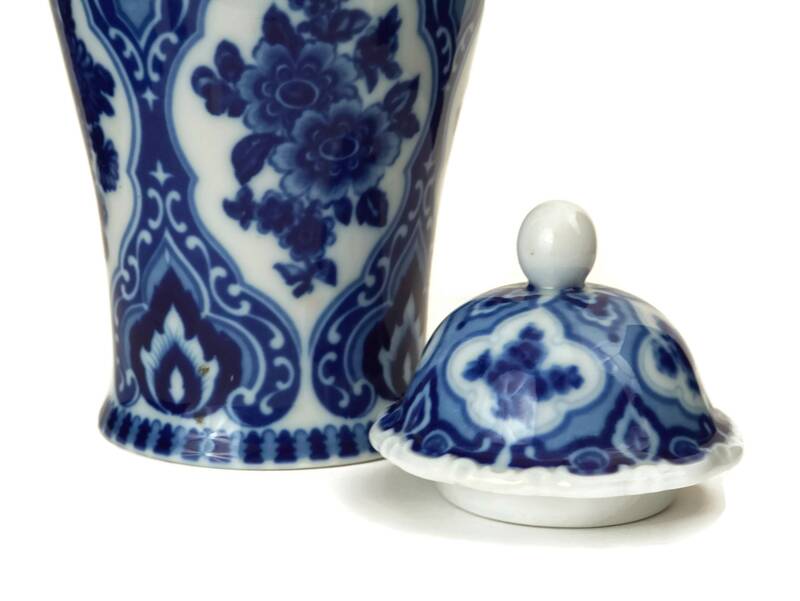 The blue and white ceramic jar and lid are in excellent condition.